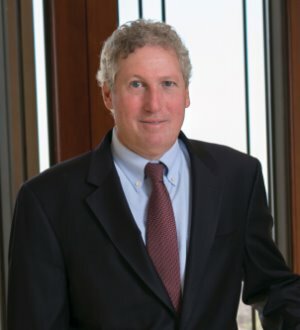 John Baron is the lead partner of the Charlotte office’s Federal and International Tax Group, partner-in-charge of the Charlotte office and chair of the partners committee. His practice is principally transactional in nature, and his clients include both domestic and foreign companies and financial institutions, as well as private equity firms, CDOs and hedge funds. He regularly provides tax structuring advice and renders tax opinions with respect to mergers and acquisitions, structured finance transactions, securitizations involving REMICS, grantor trusts and CDOs, and cross-border financings. John was recognized in The Best Lawyers in America and Super Lawyers magazine, and was also named to Business North Carolinamagazine’s “Legal Elite” in tax. He is a member of the Tax Section of the New York Bar Association, the International Fiscal Association (treasurer, Carolinas Chapter) and CREFC REMIC Task Force. John received his J.D. from Seton Hall University in 1987 and his LL.M. in taxation from New York University in 1990. He received his B.A. in 1984 from the University of Delaware. He is admitted to practice in North Carolina, New York and New Jersey.